Lauren, Jessica, and Spencer preview this weekend’s U.S. Classic! Breaking inside scoop about Gabby Perea! New seniors we’re most excited to see at Classic, including Morgan Hurd, Jordan Chiles, and Trinity Thomas. By popular demand, Spencer and Lauren literally fight to the death about the Canadian worlds team: Ellie Black, Isabela Onyshko, Shallon Olsen, Brooklyn Moors. Norah Flatley retires from elite. She plans to drop to L10 and then go to UCLA. Christina Desiderio is going to LSU this year. Cuba is going to worlds after all!!!!! The team will be Manrique Larduet, Randy Leru, Yesenia Ferrera, and Marcia Videaux. Lieke Wevers is working on a Erceg mount! Her sister, Olympic BB champ Sanne, is working on an Onodi mount. Adrian Stoica will not run for another term as head of Romanian federation. But guess who is being put forward as a possible replacement…ANDREEA RADUCAN. But really, WHAT THE MOTHER OF CRAP IS THIS THING?!?!? And last, but certainly not least, we read the best letter we’ve ever, ever, ever received. It should hang in the Smithsonian. How to use a VPN: Set your VPN’s country to the same country as the broadcast you want to watch. For example, set your country to England or Ireland to watch the BBC broadcast. If you are in Italy and want watch NBC. Set your country to USA. Thanks to the good people at Norbert’s, we’re giving away a beam! It’s a 4-foot long sectional beam, valued at $79, covered with beam suede and filled with solid (but very light weight) crosslink foam, perfect for learning those jump or acro skills that might be a little ouchy to try for the first time on the hard beam. This giveaway is for Club Gym Nerd members ONLY. Just enter by email at gymcastic@gmail.com with the subject line “I WANT THE NORBERT’S BEAM.” You just may be the lucky winner selected at random. 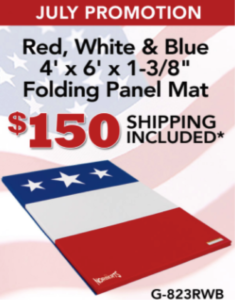 In honor of the month of July, Norbert’s also has a red, white, and blue folding panel mat for just $150, shipping included. WHAT: #BeerWithBetty: The Greatest Scavenger Hunt in the Galaxy! PRIZE: The winner will share a beer (or root beer if you are under 21) with the great Betty Okino, Olympic and World medalist, creator of the triple turn on beam, and a member of the Precision Choreography team. HOW IT WORKS: In August, we will release a list of 10 items on this photo scavenger hunt. Your mission will be to complete each one and post a photo to Twitter or Instagram tagging @GymCastic and @PrecisionChoreo and using #BeerWithBetty. The winner will be selected at random among everyone who completes all ten items. The hunt will start at 8am on Thursday August 17 and will end at 12pm on Saturday, August 19. The winner will meet with the Betty Okino at 3pm in Anaheim on August 19th! If you enter, be READY FOR BETTY because winner will meet this gymnastics legend at 3pm that day! PLUS: We will give six additional prizes for Most Outrageous photos! The top three most outrageous photos on Friday will win a personal voice message from one of Precision Choreography’s gymnastics stars (people like Chellsie Memmel, Alicia Sacramone, Houry Gerbesian, and Holly Vise)! The top three on Saturday will get a special shout-out on the GymCastic podcast. BUT WAIT: Before this contest starts, we need your help coming up with the scavenger hunt list! Please tweet us your suggestions using #BeerWithBetty from now until July 31. Ryan on twitter is already owning the suggestion game. Sunisa Lee did not attend but gave us an apology Nabieva. How to watch the U.S. (no longer Secret) Classic on July 29th. Marvin Kimble wins the AA! Cue [hitting pommel horse joy-scream]! Ana Perez passes the O’Beirne Test for choreography and has a front layout stepout on floor. Ray Zapata doesn’t perform his triple front, but his actual floor routine is pretty casually amazing. Her floor is the most important thing in your life and ranks among the best in the world. But, Cuba isn’t registered for worlds. NOOOOOO. Amy Smith is the new head coach at Utah State! She appeared on Episode 237 to talk about UNC’s Pride meet. Olivia Cimpian has left Romania and is now training in Hungary. Tatiana Nabieva intends to return in December, and compete “until I die.” Spencer has some plans for her triumphant return. A British gymnastics coach is being questioned by police for child cruelty and has now been suspended by BG. Jessica speaks with founders David Thompson and Victor Bevine of the International Parkour Federation and WFPF about the FIG’s attempts to take over jurisdiction of parkour and why they went to Switzerland to fight it. PK Silver, Parkour for seniors. 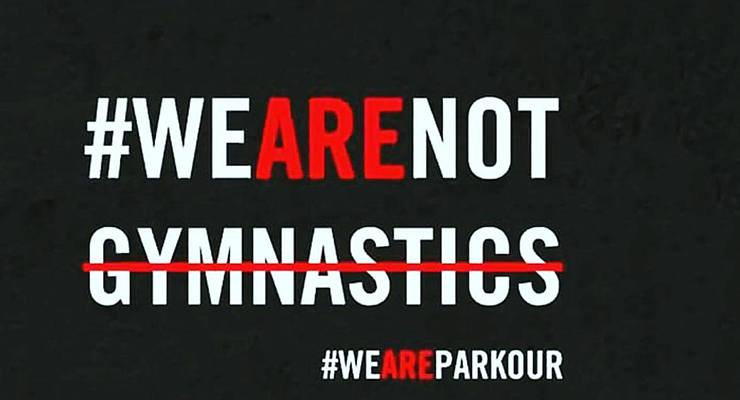 Find our more about adding Parkour to your gym at USAG Congress in Anaheim here. Have insurance worries? USAParkour has you covered. Find a gym with Parkour in the database. This giveaway is for Club Gym Nerd members ONLY. Just enter by email at gymcastic@gmail.com and let us know that YOU WANT THIS BEAM. You just may be the lucky winner selected at random. HOW IT WORKS: In August, we will release a list of 10 items on this photo scavenger hunt. Your mission will be to complete each one and post a photo to Twitter or Instagram tagging @GymCastic and @PrecisionChoreo and using #BeerWithBetty. The winner will be selected at random among everyone who completes all ten items. The hunt will start at 8am on Thursday August 17 and will end at 12pm on Saturday, August 19. The winner will meet with the Betty Okino at 3pm that day! If you enter, be READY FOR BETTY because winner will meet this gymnastics legend at 3pm that day! This week, it’s the commissioned episode you’ve all been waiting for…the FLUFFCAST! 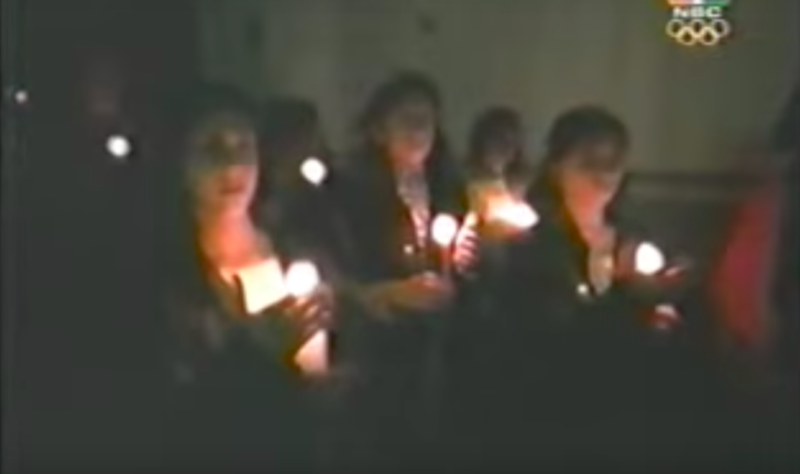 We jump into all the most insane, hilarious, horrifying, sexist, perfect, amazing, diva-tastic, butterfly-gazing, Romanian candle-holding fluff pieces in the history of gymnastics broadcasts. Thank you so much to Fluff Feels for commissioning the episode we were born to do, and thank you to everyone who sent in suggestions! NBC’s Living-Parents Championship, starring Russian daddy issues and soldiers kidnapping Zamo. How much resentment and blame? ALL OF IT! What’s the deal with that wild west picture? And that helicopter-parent one? Is this the most sexist fluff of all time? 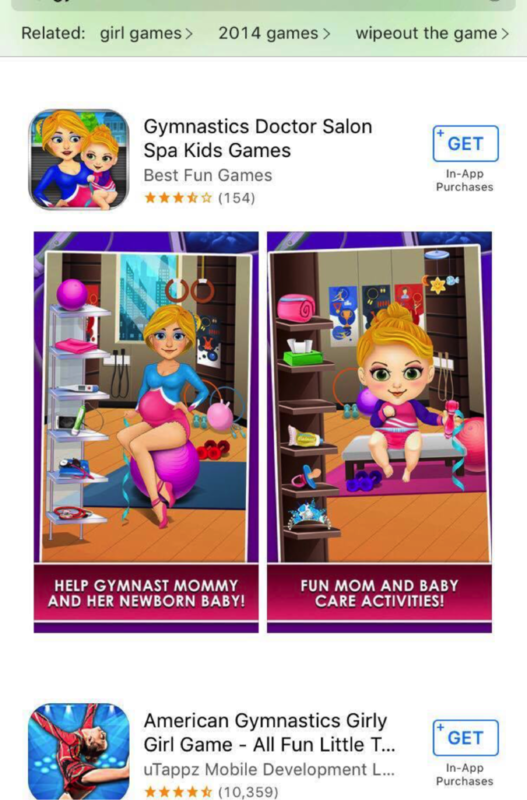 Was saying, “I want to win as much as I want to mother my own child” really such a big deal? Why is Bela so bad at boats? How respectfully and maturely do we think NBC handled the issue of suicide? Why let fact get in the way of narrative? Important question: what are raffle bars? More fun with racist Chinese music! BUT WAIT: Before this contest starts, we need your help coming up with the scavenger hunt list! Please tweet us your suggestions using #BeerWithBetty from now until July 31. Something like socks with sandals, overused beam poses, someone over 50 doing the splits. We will give you full credit for any suggestions we use!